BHOPAL: Affan Yousuf's goal powered India to victory against Pakistan in the final of the Asian champions trophy hockey. Yousuf, who hails from Bhopal, scored one of the three goals scored by India against Pakistan's two. In the match against China and Japan too, the youngster had scored goals and had played an important role in India's win. Yousuf hit two goals in the quarter-final match against China. Besides, his was the final goal in India's convincing win against Japan earlier in the league match. In the final today, India took lead when Rupinder Pal Singh scored the first goal. It was a penalty corner which was convered into goal. Affan Yousuf scored the second goal. This was in the 23rd minute. Later, Pakistan scored two goals. However, India won with Nikkin Thimmaiah scoring the third goal. India won the final 3-2, winning the Asian Champions trophy, held in Malaysia. 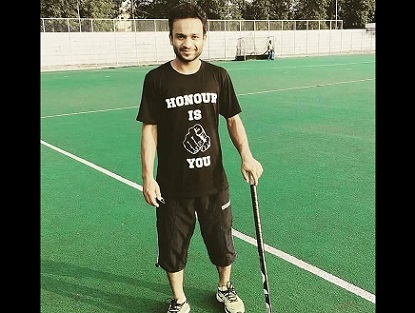 Bhopal has produced international hockey stars and is termed as nursery of hockey. The 22-year-old plays for railways. With his magnificent performance at the international level, more youngsters are likely to turn towards the sport in Bhopal.